FOR SALE Brand New Bungalow House Brand new bungalow house. Furniture and furnishing not included in the sale. ...City of San Fernando. 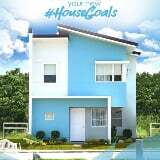 It is also about 15 minutes drive to Downtown San Fernando to Sm Pampanga, Robinsons Starmills via Gapan-Olongapo road.